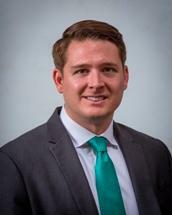 Justin L. Duncan is a litigation and real estate attorney with Harlin Parker. His areas of practice include insurance defense, business and commercial, real estate, trucking and personal injury. Justin also assists with representation involving commercial matters, city/county governments and law enforcement agencies, along with their insurance carriers. Justin obtained his Juris Doctorate from Salmon P. Chase College School of Law, where he served as Vice President of the Federalist Society. He earned a Bachelor of Arts in History and a Bachelor of Science from Western Kentucky University. Justin is licensed to practice in all state courts in the Commonwealth of Kentucky. Justin is a member of the Bowling Green Bar Association, Kentucky Bar Association, Kentucky Bar Association Young Lawyers Division, American Bar Association, Kentucky Justice Association, American Association for Justice and the Bowling Green Chamber of Commerce. HARLIN PARKER is a member of ALFA International, the global legal network. With 150 member firms across the globe (80 in the United States) ALFA International is the premier global network of independent law firms whose success is driven by broad, deep, local relationships all over the world. More information is available at www.alfainternational.com.